The Samsung Galaxy K zoom is about to hit the market and we are getting ready to start our review. It is Samsung’s fourth camera/phone hybrid. Following in the steps of the Galaxy S4 Zoom and the Galaxy Camera series, it offers a retractable 10x zoom lens on the back of what appears to be a regular Android smartphone. Only this time around, the balance seems tipped more towards the smartphone than the camera. 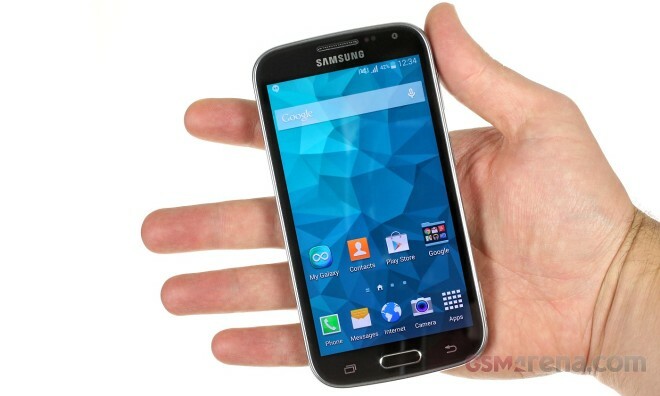 On the smartphone side of things the Samsung Galaxy K zoom has a 4.8-inch 720p Super AMOLED screen. The screen is absolutely gorgeous and is easily legible out in the open. Inside the K zoom hides an hexa-core Exynos 5260 chipset and thanks to it, Android 4.4.2 with TouchWiz is purring along quite happily. On the camera side, the Galaxy K zoom has a 20MP camera with a retractable 10x optical zoom lens and optical image stabilization. The lens has a protective cover on the front so it seems well protected from the insides of your pocket or purse. However, compared to Samsung’s other camera/phone hybrids, this one lacks a standard tripod mount. There is also no LED flash to use while recording video, but the Galaxy K zoom is otherwise equipped with a proper xenon flash as expected from a digicam. The Galaxy K zoom back panel has the same design as the Galaxy S5. The back cover is removable and so is the battery inside. The SIM card slot is beneath it. In everyday use the noticeable hump on the back is not as bad as it looks. It actually helps in providing a more secure hands-hold of the device. Before we show you some of the Galaxy K zoom camera samples, here’s an unboxing video, complete with a quick tour of the user interface. And now for the promised camera samples. To start things off, here is a set of regular camera samples shot at the widest end of the zoom lens (24mm in 35mm terms). Next comes a set of images shot at the tele end of the zoom lens (240mm in 35mm terms). At the tele end you can even get a nice looking bokeh when your subject has a proper distance to its background. Now here’s a demo of the magnification that this impressively long zoom lens provides. The images below start off with the maximum magnification of 20x – which is a digital zoom as opposed to an optical one, hence the quality is lower. Finally, here’s a demo of the top notch in-camera HDR mode. So that’s about the Samsung Galaxy K zoom for now. We are already working hard on its review so don’t forget to let us know in the comments below if you need to know something specific answered there.